What a great recipe, high protein and gluten free. I made them with the pre-ground flax seeds - the mixture is pretty wet but bakes up well and the make sure you leave some space for them to expand and rise a bit. Not sure about the cumin. Need twice as much dressing for a whole cabbage. I had to add lemon, sunflower seeds and tahini and chinese chilli oil to make more interesting. Really nice recipe, the sauce is great, and just decanted half for the children before adding chilli to remainder for the adults. The meal did needs something else with it like rice or extra salad as felt a little bare if not just feeding myself. I used one whole cauliflower and one whole brocoli and it was too much for 4 adults and 2 children. Though it felt weird putting so much of this on your plate as dominated the palate. Loved this! Trad and delish! Made stock with trusty Oxo cube because didn’t have bone broth. Yum! Good old fashioned fodder! Had some that I had frozen tonight - just as good as when it was fresh. Yum! Burnt at 130 for eight hours. If overnight again try 120 for eight hours? Or six hours at 130? I made a vegetarian version of this by using a pack of frozen quorn. This worked very well and made for a very healthy and tasty supper along with some roasted cabbage steaks brushed with some sriracha and lime juice. I thought this was utterly delicious! Having made lentil bakes for around 20 years I was skeptical about the flour but it made it a nice texture and added flavour. 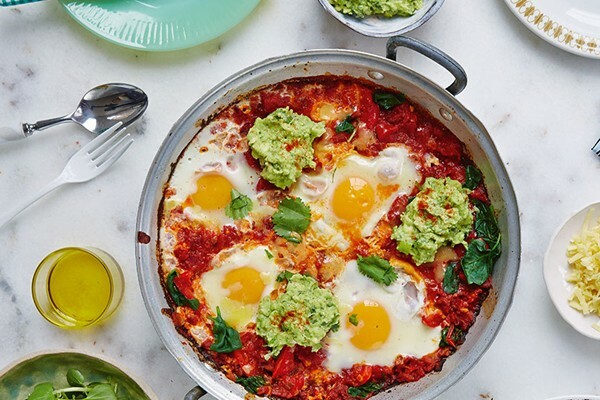 This will be how I do my lentil bakes from now on! Made this with some brocoli, green beans, loved the raw spinach going through, and I also added some red cabbage finally sliced. Used two avocados for one person. Used one third of 250g of buckwheat noodles as come pre wrapped up in three sections. Great for me on own, though would use whole bag of all three if eating with company. Good + Simple celebrates the pleasure of delicious food that is simple to make, a joy to share and just so happens to be good for you. 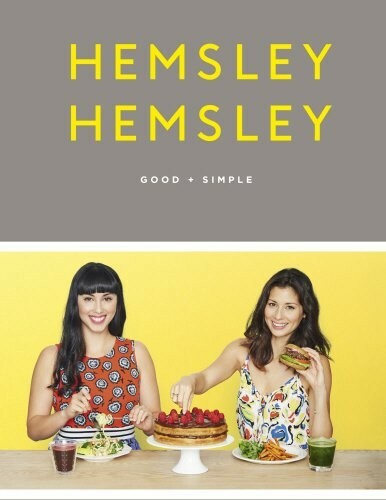 Jasmine and Melissa Hemsley’s principles of healthy home cooking built around gut health, whole foods and affordable ingredients show how tasty and achievable eating well can be.